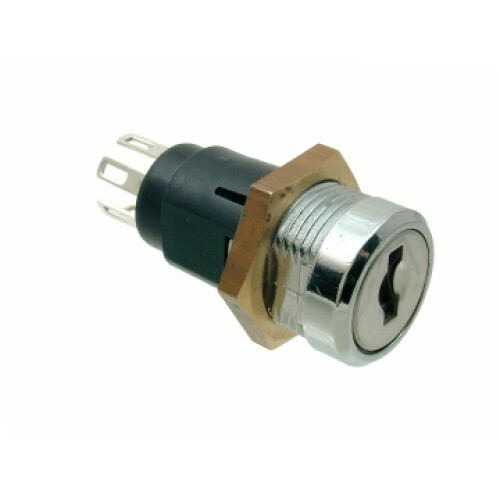 A Mini, Inline, Double Pole Key Switch 5023​ available in bright chrome with a double D fixing hole shape. Once connected to a C.K. 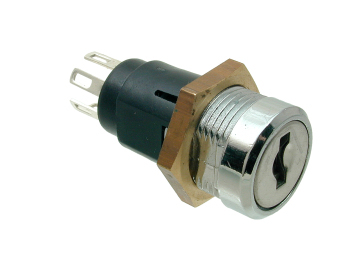 low voltage switch, the 5023 key switch can be used to control two circuits. This makes it ideal for use in Enclosure applications or anywhere a circuit needs to be controlled by use of a key.